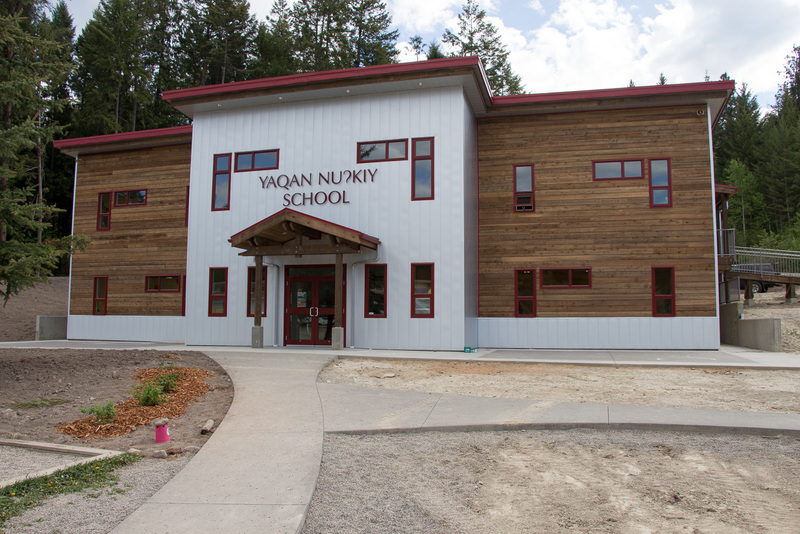 The Yaqan Nukiy School is a K-7 elementary school run by the Lower Kootenay Band in Creston. The school is open to all students and has gained popularity in recent times with enrollment outgrowing their existing facilities. With valuable contributions and input from school faculty, Studio 9 helped the Lower Kootenay Band double the school program’s capacity with a new school. The modern facility is small in size but offers students and faculty bright, spacious learning and working environments. Four classrooms spread out over two floors on compact floor plan are colour coded for easy identification. A central stairwell and shared facilities make up the core of the building. The exterior is designed with energy efficiency in mind with minimal windows yet provides enough glazing to allow for ample natural light and fresh air. Naturally preserved cedar siding is designed to age over time to a silvery grey while metal cladding provides durability in key areas.